Help us create a better world for animals! Please send me news and updates about rescue missions is required. Contribute to a better world for animals! We rely on donations from supporters like you to care for the animals living in our sanctuaries, organise rescues and offer emergency and disaster relief. Some of the donations also allow us to campaign to improve animal welfare standards around the world. 10 Euro will feed a rescued bear for a day. 35 Euro can help to medically treat, vaccinate and neuter a stray, thereby preventing further reproduction and suffering. 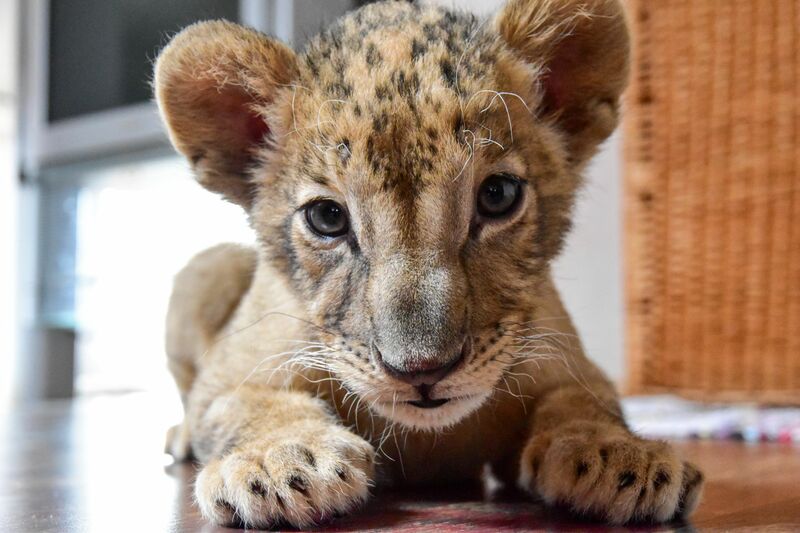 90 Euro provide lion cubs with special milk formula for a week. A generous gift of 150 Euro could fund the full care of an orphaned orangutan for a month. On behalf of the animals, the FOUR PAWS team would like to thank you!